IDENTIFICATION AND USE: P-chlorobenzoic acid; is white, odorless, crystalline powder. It is used as a laboratory reagent, and in manufacture of chemicals. P-Chlorobenzoic acid; is a degradation product of indomethacin;. HUMAN EXPOSURE AND TOXICITY: No human studies could be located. ANIMAL STUDIES: P-Chlorobenzoic acid; is a potent inhibitor of rat brain and liver mitochondrial 4-hydroxybenzoate;:polyphenyl transferase. After single oral administration to animals urokaninase and histidase activities were found in blood serum within 8 hr after the intoxication, reaching the maximum within 15 hr and exhibited the constant level during 25 hr. 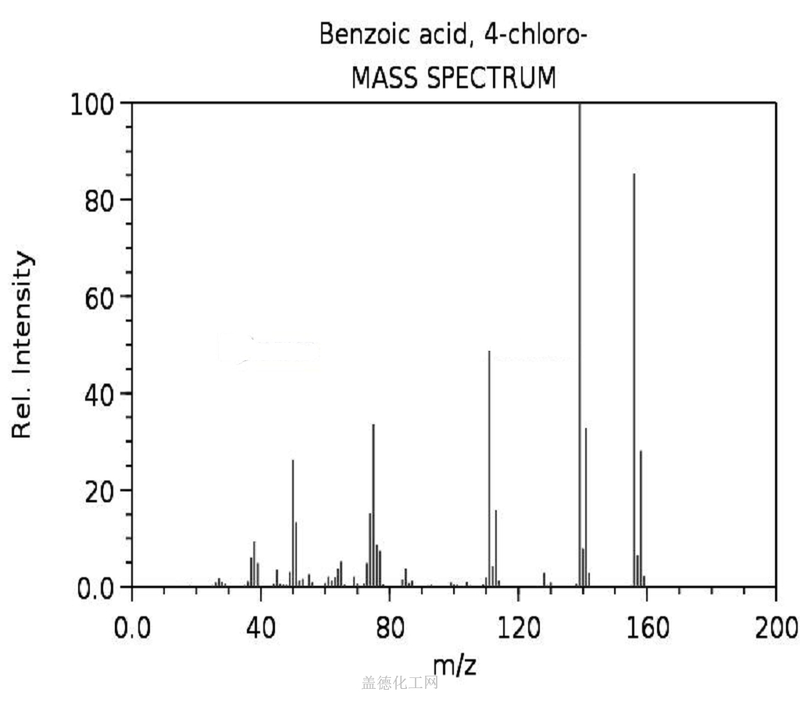 Then the enzymatic activity was gradually decreased but it did not reach the control values within 70 hr.